The US-backed Syrian Democratic Forces (SDF) have secured Baghouz, the final stronghold of the terrorist group known as Islamic State (ISIS), ending a five-year nightmare that caused to the deaths of nearly 500,000 people. The SDF coalition on the ground was led by the Kurdish YPG who were assisted by the financial aid and air support of the US & UK military. 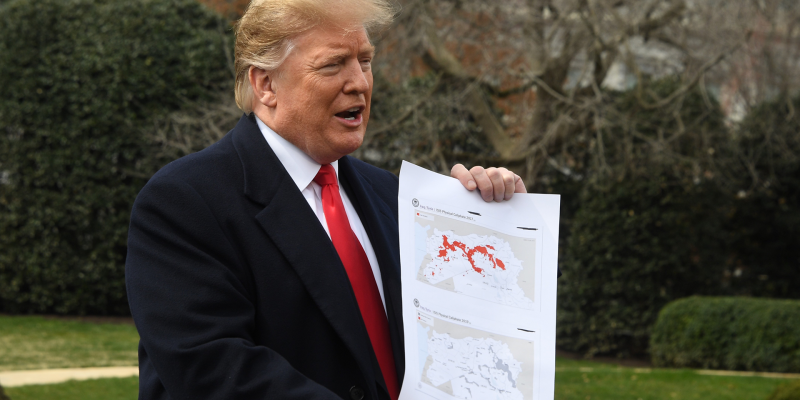 The group estimates that their forces sustained the loss of 11,000 fighters while ISIS losses, by airstrike alone, are estimated to be upwards of 15,000. The group had become known for their tactics of extreme violence, online propaganda and video executions. Other atrocities include public be-headings, stoning of women, persecuting Christians, and executing homosexuals. It is estimated that as many as three hundred American citizens attempted to join the jihadist group. The resounding victory overseas paired with a thriving economy at home will both likely boost President Donald Trump’s re-election chances ahead of the 2020 election. Previous Article Is AOC This Leftist Group’s Manchurian Candidate?